R.S. Hughes has partnered with Henkle Loctite to establish equipment showrooms for Loctite® brand equipment. 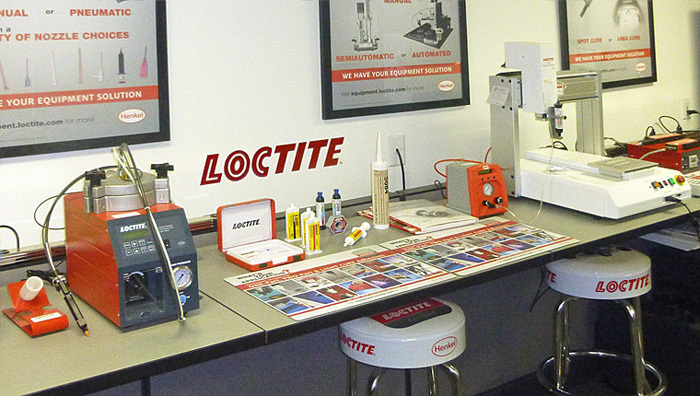 Each showroom allows prospective customers to get hands-on experience with Loctite® brand equipment and products before purchasing. These hands-on facilities are equipped with dispensing and light curing systems. The staff at each R.S. Hughes / Loctite showroom has been trained on the use and operation of the equipment and can assist you to select the Loctite systems and products that solve your manufacturing and assembly needs.